We connected with these buyer’s last May after they found us via our blog www.seattlecondoreview.com. 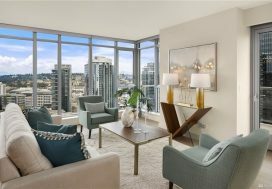 They were already living in Belltown but were looking for a larger condo in the same area with views of the Puget Sound. We started the process as we always do, with a buyer consultation so we can chat through the realities of the current market place, learn about what exactly they were looking for in their new condo and solidify the financing piece of the puzzle. 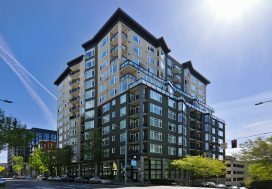 Once we got out looking at properties it was all about seeing the different building options in Belltown and Downtown. After we toured through most of the options that would have units with Sound views we narrowed in on the Continental Place, it was the building for them. So we sent letters to the building asking owners if they were interested in selling, networked with other agents and inevitably waited patiently. While at the office networking with our fellow agents, we asked around about any upcoming opportunities at Continental and we learned of a west facing unit that would be coming on the market later in the month. We were able to get a sneak peek of the unit and once it hit the market we were ready to compete on the offer review date. We put our best foot forward and were able to snag this beautiful view condo, the perfect spot for these patient buyers! 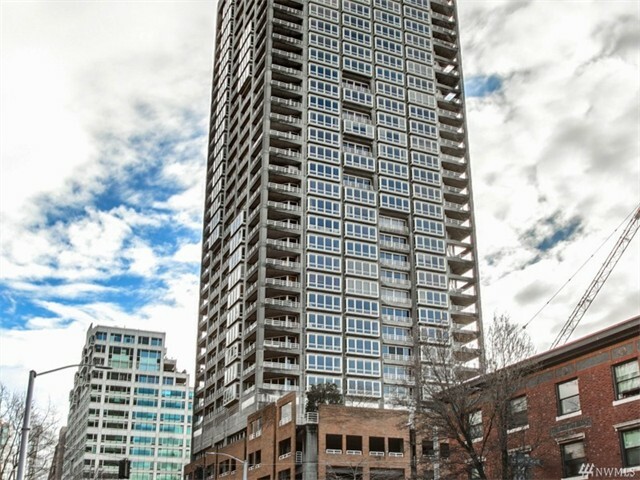 Congrats on getting your view condo in Continental David and Lynn!